Becoming an international student requires a lot of research and information. At InternationalStudent.com we work hard to provide students with access to reliable products and resources from the very best companies during their international education journey. These leaders provide students from around the globe with the tools necessary to make their time outside their home country a success. Student Universe is the online travel service that enables students to travel for less. By negotiating with the major airlines on their behalf, StudentUniverse provides students with exclusive, significantly discounted airfares. Founded as a student travel agency in 1992, StudentUniverse launched its online presence in January 2000. Sprintax was created to bring clarity to the tax preparation process for international students, scholars, teachers and researchers in the US on F, J, M and Q visas. Sprintax is an easy-to-use tool that helps individuals from around the world prepare their US tax returns in just a few easy steps. Sprintax helps hundreds of international students each year with their IRS tax obligations. CORT is designed to make the move-in process for international students as smooth as possible. CORT specializes in both furniture rentals and student housing, providing students with numerous options to meet their needs and budget when trying to make the transition to the US. MPOWER helps provide international student loans that don’t require a cosigner to qualifying students. However, they’re also much more – their goal is to set students up for academic, professional, and financial successes. IvyWise provides students with the tools needed to get into the best school for them. IvyWise takes a holistic approach to counseling students and combines it with tutoring and research. In 2018, 91% of IvyWise students were accepted into one or more of their three top-choice schools. ISIC is a student discount card for international students. On average, 12,500 isic cards are issued per day due to the savings that students are able to receive. There are more than 160,000 discounts and benefits worldwide and 125,000 offers in over 2,300 locations around the United States. Deserve provides international students in the US with the chance to start building credit by having a credit card- even when students don’t have a social security number or credit history. As a company built by international students they know what international students need. American Homestay Network is a network that places international students in high quality, safe and well managed homestays in cities across the US like DC, Miami, Chicago and Portland. Their global mission is to deliver the highest quality homestay experience based on accountability, system integrity, transparency, personalized services, safety, insurance, and a 24/7 professional support line. ZipRecruiter gives international students access to finding a job or internship in the location where they want to study and work. Students can filter jobs based upon key criteria including title, location and post date, and search through job listings that are applicable to the industry in which they want to pursue as a career. Testden has helped thousands of international students prepare for and pass the TOEFL. Testden provides students with training exercises, practice questions and practice tests. They have helped tens of thousands of students in more than 60 countries prepare for the TOEFL and TOEIC tests. TorFX has provided bank-beating foreign exchange for over ten years. Individuals around the world, including international students, rely on TorFX to receive and send money. "Our company's mission is to provide outstanding exchange rates, expert guidance and a simple, friendly service that people will want to recommend to others." – Jon Beddell (TorFx CEO). Eurail allows travelers from around the world to explore Europe by rail. As an exciting and economical way to travel, it’s a top choice for many students. Students can explore 28 countries with the Eurail, opt for an Eurail Pass and purchase their trip up to 11 months in advance. HousingAnywhere connects international students directly to housing in the location where they will be studying. It has partnerships with over 130 universities, and accommodations in 62 countries, so students can easily find the right place to stay when studying abroad. HTIR Work-Study, USA connects international students to programs that allow them to work while earning a degree in the US. Established in 1990, they have remained devoted to helping students come to the United States, assisting thousands with obtaining their F1 visa. HTIR helps ensure students have access to a work-study program and an overall affordable US education. 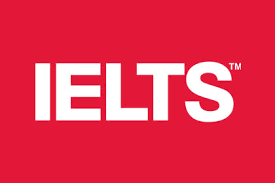 IELTS is one of the top English language proficiency tests for international students and their test results are accepted by more than 9,000 organizations in over 140 countries, including 3,000 institutions in the United States. Students have trusted IELTS to show evidence of their English language ability since 1989. Boro provides international students without a credit score the opportunity to apply for a personal loan. Boro loan eligibility is based upon specific academic, financial and personal qualifications instead of the credit score of the student or cosigner. J1SIMcards is a wireless solution designed specifically for travelers on a visa, who are studying or working in the US. They have more than 25 years work experience at the intersection of telecoms and travel, and understand the complexities and frustration that those coming to the US face. If you're interested in becoming a partner on InternationalStudent.com contact us for more information.